[Fill-in-the-Blank] is the perfect business; said no one ever. Nobody’s perfect—including businesses and corporations. One way to stand a step closer to perfection is to recognize risks and try to do so in a way that is better than competition. This concept seems elementary; but in the case of Whole Foods Markets, the unique business model leads to a set of equally unique risks. Regardless of the industry, it can serve as an advantage to analyze the supply chain, compliance, and operational struggles of other companies to learn from mistakes and triumphs to better impact ones’ own business decisions. The most severe risks WFM faces are increased competition threatening revenues and profitability, changes in the availability of quality natural and organic products, disruption of significant supplier relationships, actual or perceived food safety concerns, and unfavorable changes in governmental regulation. One situation that is crucial for Whole Foods to prepare for is the potential of competition offering the same organic products, at a cheaper price. This is of high importance because, although it has not noticeably affected business thus far, wholesale markets and large, established grocers currently offer such food products at a substantially lower price point. Also, in the same way Whole Foods seeks to appeal to consumers who want solely organic foods, well-known competitors are able to reach these same targets with larger marketing budgets and resources for loyal customers with a longer spanning relationship. One way Whole Foods can combat this issue is through potentially adjusting their pricing strategy or offering promotions that make their items a bit more cost-effective for consumers. 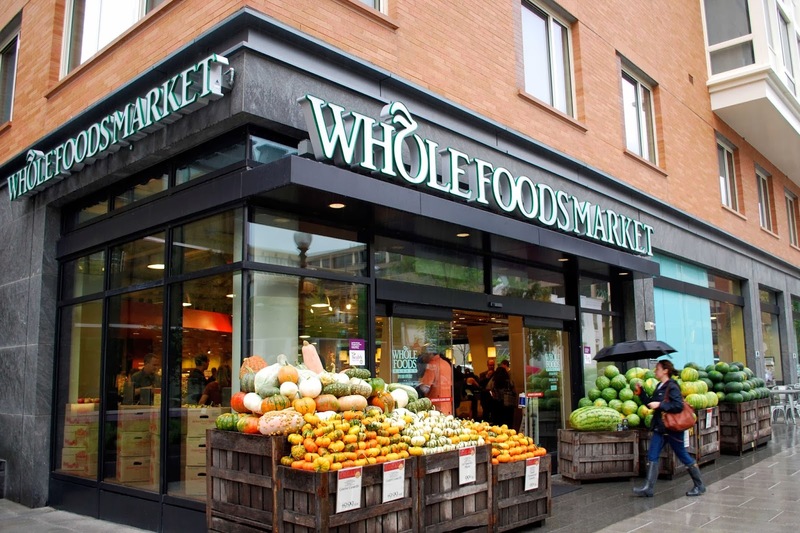 They should continue to be active in communities, because this is one area that larger grocery stores would struggle to keep up with Whole Foods’ involvement and influence. insurance. In the case of equipment failure or malfunction, equipment breakdown insurance can also cover mechanical errors and set Whole Foods back on track following an unexpected disaster. Both options insure businesses against lost profits. Along with supply chain risk management for product availability, disruption of significant supplier relationships is another area crucial for Whole Foods to prepare for to prevent any major loss to profitability. United Natural Foods, Inc. (“UNFI”), the organization’s single largest third-party supplier, would represent a huge loss for the company if they were to discontinue their relationship. One way for Whole Foods to offset this risk is to diversify their supplier relationships to be a bit more equal in the amount of profit each represents. Also, it would be beneficial to have terms of contracts where other suppliers with standing relationships would be willing to step in during the circumstance that Whole Foods would need certain foods from a supplier whose relationship has ended. Due to the increase in popularity, and the resulting mainstreaming of organic foods, there is the potential for research to show previously unknown information detrimental to the Whole Foods brand. Actual/perceived food safety concerns are already a large concern to consumers, especially families, and Whole Foods should prepare accordingly. If this situation were to arise, the organization would be wise to work with their public relations representatives to offer solutions and put forth a strong sense of customer intimacy despite a harmful situation. There are about forty-eight million food borne illnesses in the U.S. each year, leading to major sickness and in some circumstances, even death. Since there are such major health complications associated with food safety and/or recalls, appropriate insurance coverage and preparation are viable options for Whole Foods. Unfavorable changes in governmental regulation can also present a great deal of risk towards Whole Foods’ business model due to the large role the FDA, USDA and other government organizations can play with developments in organic foods. For example, due to the strict guidelines of the USDA Organic Rule, some suppliers may be unable to comply, leading to a discontinued relationship which would limit the supply of the particular food item from that resource. This can be detrimental if a supplier represents a large portion of Whole Foods business; however, this risk can be managed through diversification of suppliers so that they equally represent portions of profit. While Whole Foods’ risks and mitigation strategies are easy to identify, due to continual public discussion about the company, it goes without saying that the risks and the solutions for every organization are going to be unique. In developing risk plans for your own organization, it’s not enough to just identify those risks that present physical danger to your supply chain (like moving manufacturing from disaster-prone Asia to an environmentally safer area like Latin America). Look for the implicit and tertiary dangers to your supply chain – changing environmental laws for hazardous materials can affect the availability of critical cleaning agents and solvents for your production facilities, causing delays or shutdowns, for example – and work to mitigate those issues as well.